The Mahlke Chronicles: Where these tiny feet will go. The other day a realization hit me and it was like a punch to the gut. This is my last year with Spencer. 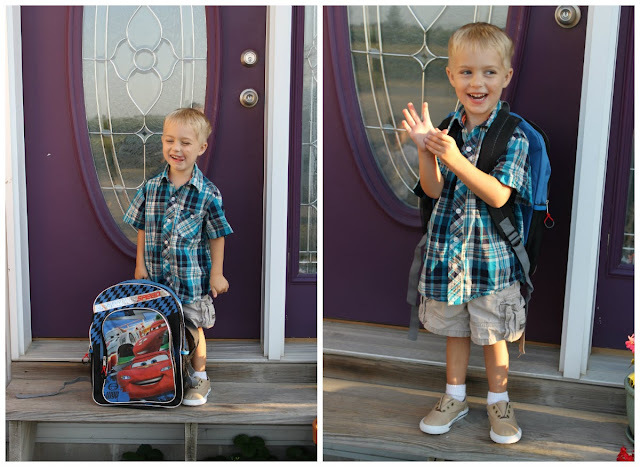 Next year he starts kindergarten and he'll spend full days under the care of someone else. He'll have loads of memories and hours logged that I'm not privy to. He'll live a life outside the confines of my watching eye and guiding hand. This is my last year with him like this, at home with me, where I can more easily fool myself into believing he's still my little baby. 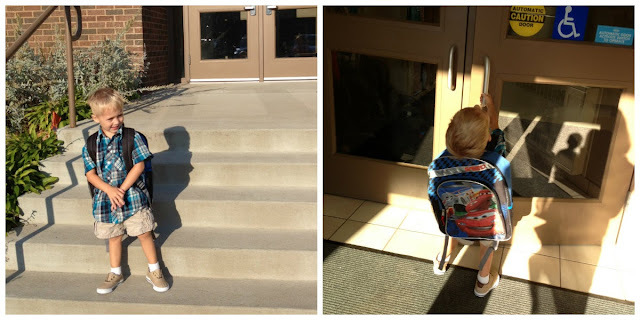 Soon enough he's going to walk through the double doors of the elementary school--shouldering the weight of his backpack that shrinks his already small frame--leaving me and our comfortable, familiar, safe life at home. He'll go in the Spencer I know, the one I've had a small part in shaping, and come out those doors an older, braver, wiser boy. These thoughts have been on my mind more so lately because it's Back to School season. Today Ashton and I accompanied Spencer to the first day of school--his last year of preschool--and watched as he transitioned himself so effortlessly into the folds of the classroom. There were no first day jitters from either of us; we're old pros at this by now, it seems. For now, anyways. This school year is still comfortable, lots of room for growth and preparing--preparing for the "big school," as we refer to it at our house. This morning I took a million pictures, documenting this milestone for always. Supporting his best buddy Briella's first day of preschool ever. They aren't in the same grade because of a birthday technicality. 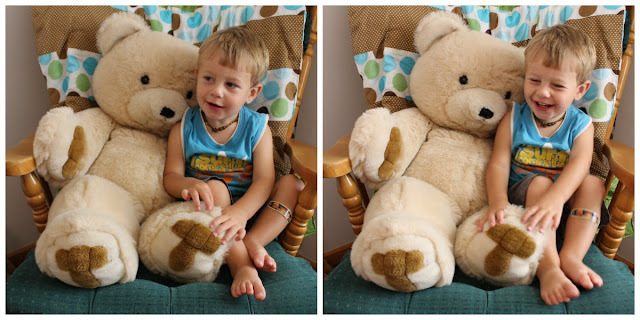 Ashton was having a hard time with the fact that he couldn't go to preschool with Cubby. He crawled right up into a chair and made himself at home in the classroom. Picking him up after school. 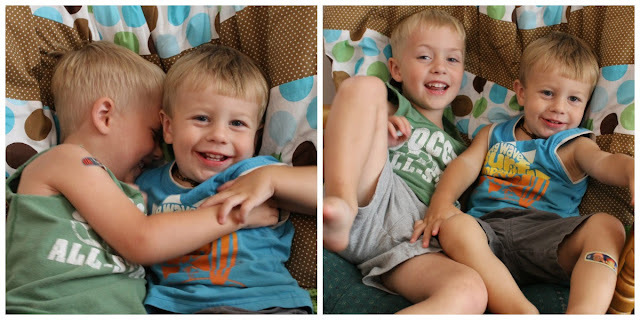 Not to be outdone by his older brother, Ashton keeps growing and growing by the minute. He's mere inches shorter than Spencer, threatening to overtake him any given day. Soon enough they'll be wearing each other's clothing, I'm sure. Here are his 22 month growth pictures. 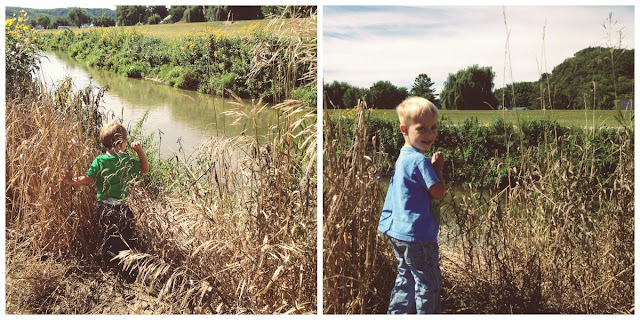 As the first day of school approached, we scampered to check more items off our summer bucket list. 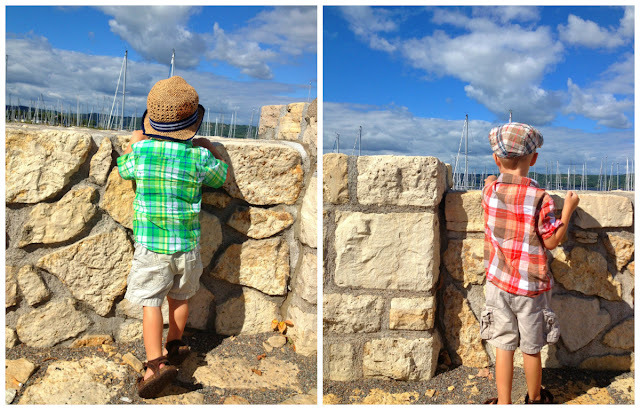 Here are more Hanging onto Summer moments. 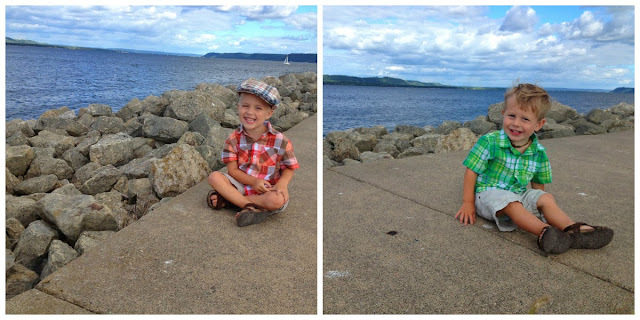 As is our summer tradition, we made the long trek to Lake City, infamous for the sailboats docked on Lake Pepin. We admired the boats, threw some rocks in the water, played at the park and dined at a nice restaurant before making the excruciating drive back home with two crying, screaming, restless kids. We snuck in one last park picnic; and some exploring lead us to water, of course. This afternoon left the bucket list with two remaining items. 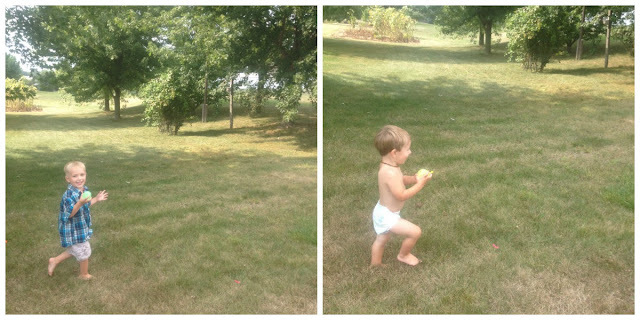 One being a water balloon fight--check. After spending an eternity filling tiny balloon after tiny balloon, we demolished them within five minutes.